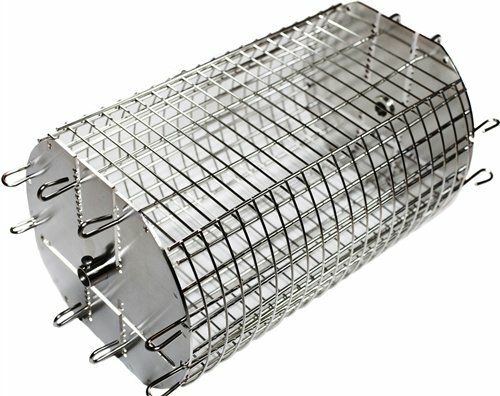 A rotisserie basket or spit basket is the ultimate rotisserie accessory. With a rotisserie basket you can cook oddly shaped smaller foods with your rotisserie. They attach to your spit with thumbscrews. 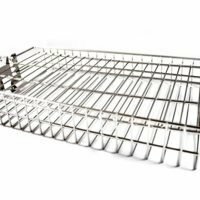 The flat rotisserie basket can also be used as a stand alone grilling basket just by using your tongs to flip and remove it from your grill grates. While a grill rotisserie is great for cooking large chunks of meat how can you use it for grilling smaller and odd shaped foods? The answer is a rotisserie basket. 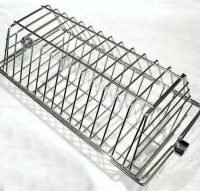 While rotisserie baskets are available in all sorts of different configurations now the two basic types are Flat and Tumble. 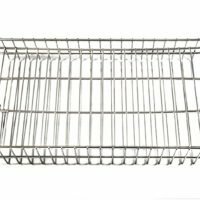 A flat rotisserie basket is great for burgers, steaks, chicken parts, flat or sliced vegetables like asparagus. The food is sandwiched between two wire grids, the top one snaps into place and is easily removed with a pinch of the wires. Meats grilled like this will self baste while spinning. 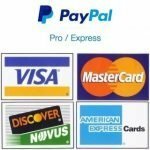 These baskets are wide so you will need to check the clearance if you have a smaller grill. 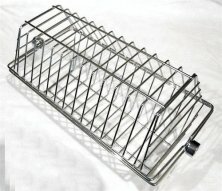 A tumble rotisserie basket is made for smaller foods. The food is placed loosely into the basket, then you assemble the top and bottom and slide it onto your spit rod. The food will roll around and fall onto itself during the grilling process. 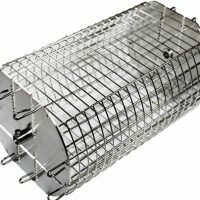 The only thing about this type of rotisserie basket is the gaps between the wires limits the types of food you can put in it. The food must be wider than the gap in the wires or it will eventually work it’s way out and into your grill.